Roby’s Bullseye Outdoors is the ultimate place to shop for, sell, trade and learn about your firearms and crossbows in Kokomo, IN. For 10 years our business has proudly served locals by providing a one-stop-shop for all of your firearm and crossbow needs. Whether you’d like to sell a firearm or purchase a new one, our dedicated staff can provide assistance. Buy, sell and trade: At our gun shop you can legally purchase, sell and exchange your firearms, knives and bows. 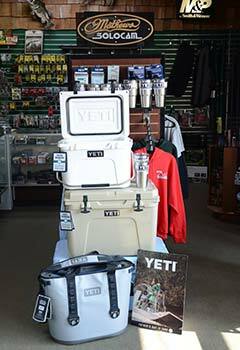 We also have a wide variety of firearm-related merchandise available for retail, including ammunition, accessories, Yeti coolers and more. Indoor shooting range: Our indoor shooting range in Kokomo, IN provides customers with a unique, full-service experience. If you’re looking to get a feel for a newly purchased firearm or you’d simply like to work on your aim, we offer a secure, controlled environment where you can perfect your skills. 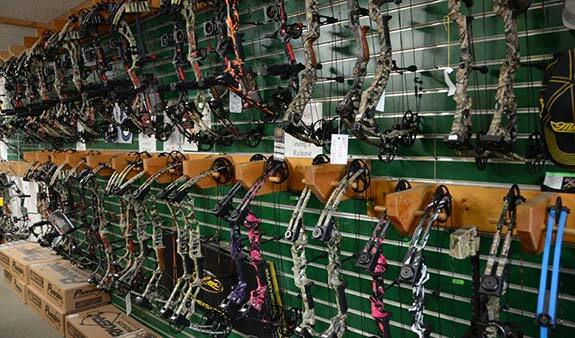 Archery shop: In addition to our wide range of firearms, we also carry an extensive selection of bows and crossbows. We work with many hunters and archers to pair you with the perfect equipment for your outdoor needs. Gun safety classes: Part of owning a firearm is knowing how to properly use and store it. Our gun safety classes are for new and seasoned gun owners alike, and teach important skills in the care and safe keeping of your firearm. We set ourselves apart from the competition by offering an informed and comprehensive approach to firearms, bows and knives. We value the customers who choose our business for their firearm needs, and strive to deliver the highest quality products and service available. To learn more about Roby’s Bullseye Outdoors, please contact us today by calling 765-459-0077 for more information.